Your interest has probably brought you here because you already recognise that singing is possibly one of the most beneficial activities we humans can do to stay physically, emotionally and mentally healthy and happy. 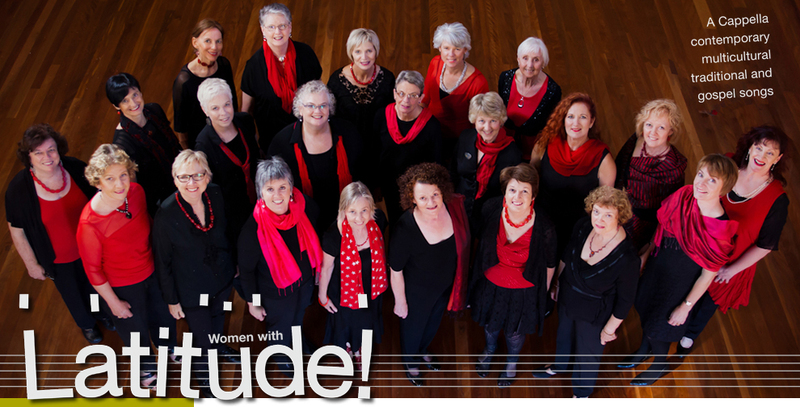 Women with Latitude is a membership based community choir which aims for excellence in performance. The philosophy of the Group is to produce beautiful music of all styles and enjoy the process in which it is made.